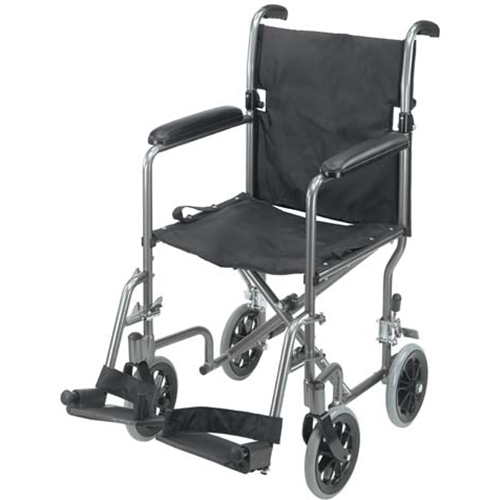 Ultra Lightweight Aluminum Transport Chair from HealthyKin.com was designed for quick and easy transport of the user without the cumbersome bulkiness of a wheelchair. 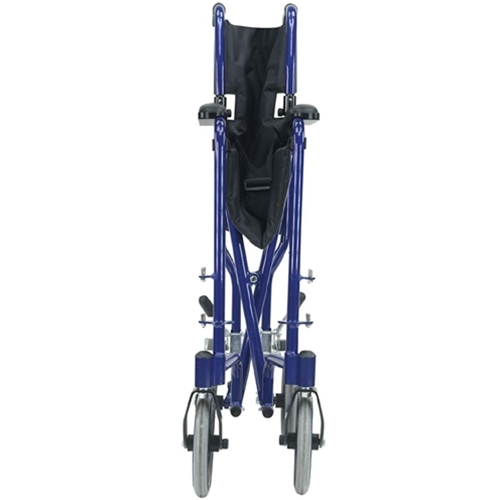 It folds easily for storage or transfer in a vehicle. Lightweight, less than 20 lbs. 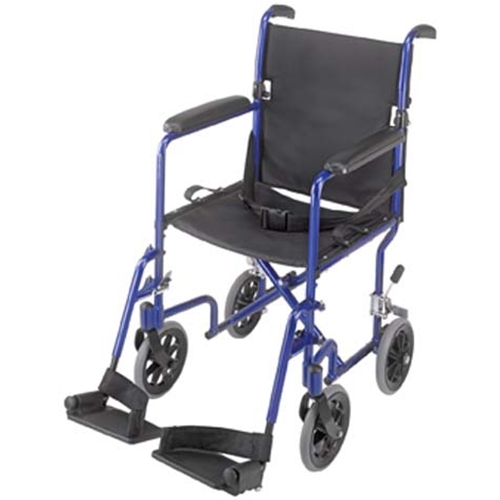 without footrests; footrests 3½ lbs. Overall width open: 23"; closed: 9½"